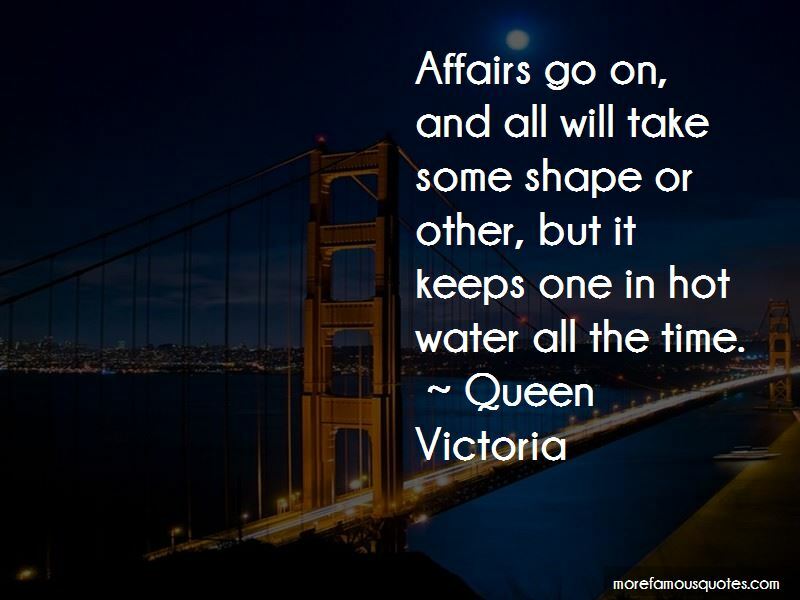 Enjoy the top 47 famous quotes, sayings and quotations by Queen Victoria. 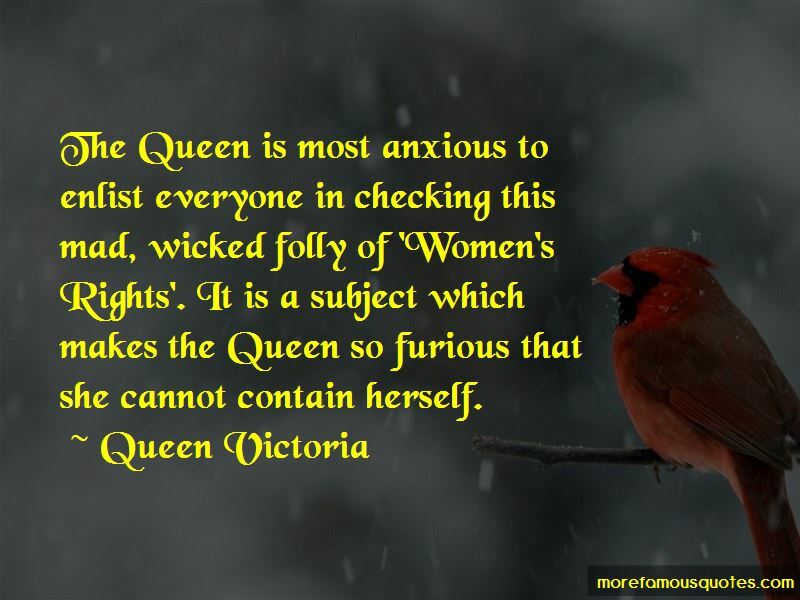 Were women to "unsex" themselves by claiming equality with men, they would become the most hateful, heathen, and disgusting of beings and would surely perish without male protection. Oh! If those selfish men, who are the cause of all one's misery, only knew what their poor slaves go through! What suffering, what humiliation to the delicate feelings of a poor woman, above all a young one, especially with those nasty doctors. The poor fatherless baby of eight months is now the utterly broken-hearted and crushed widow of forty-two! My life as a happy one is ended! the world is gone for me! If I must live on (and I will do nothing to make me worse than I am), it is henceforth for our poor fatherless children - for my unhappy country, which has lost all in losing him - and in only doing what I know and feel he would wish. 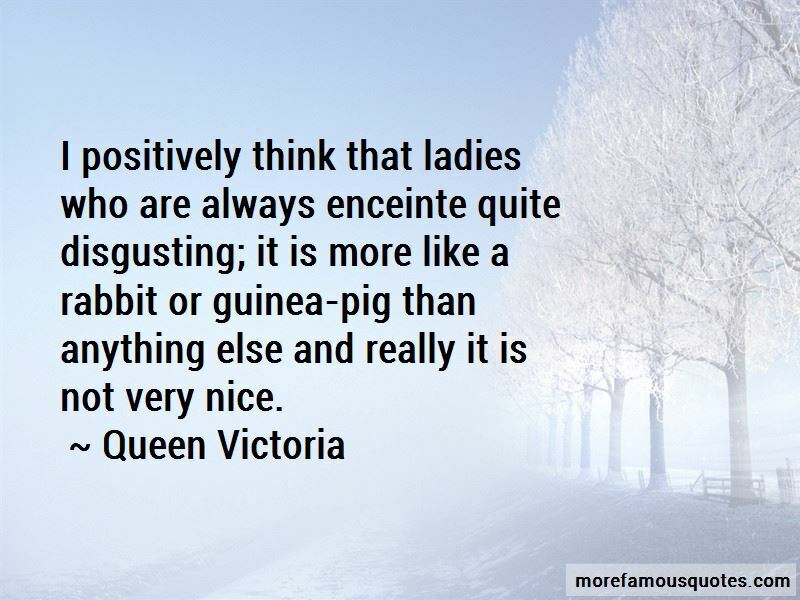 Want to see more pictures of Queen Victoria quotes? 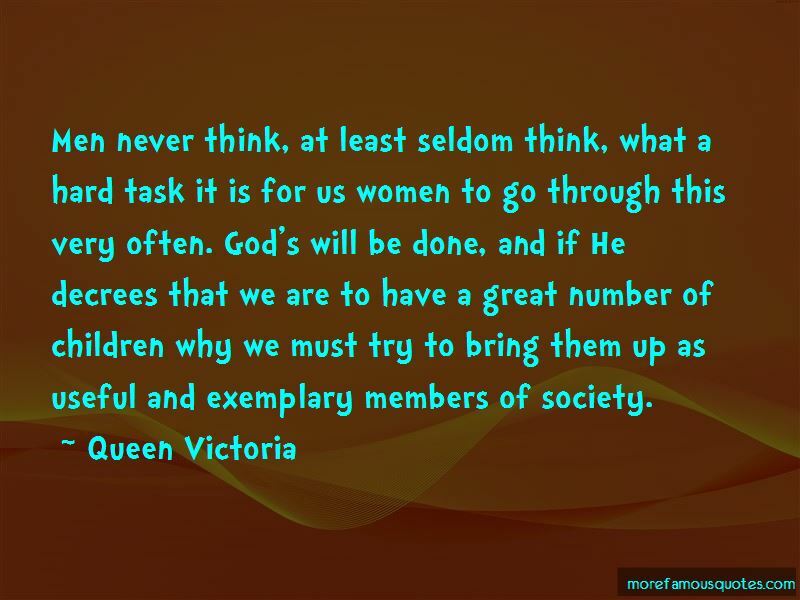 Click on image of Queen Victoria quotes to view full size.